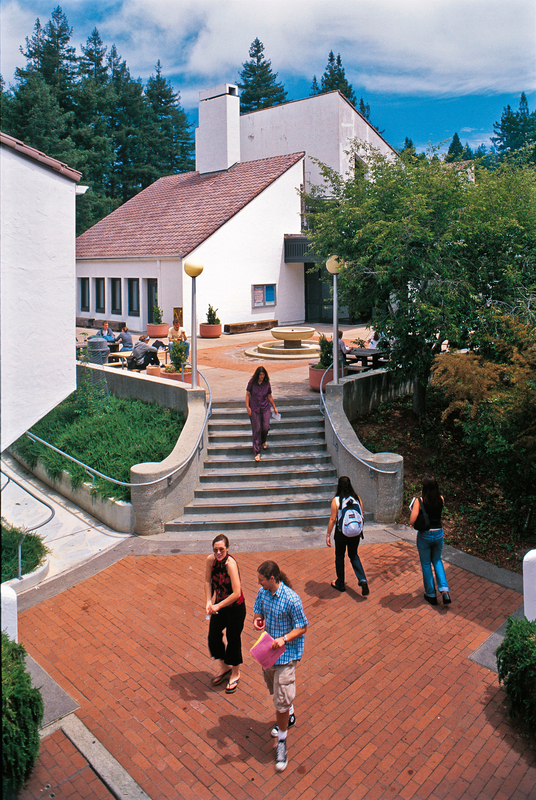 UC Santa Cruz reached the venerable age of 50 in 2015—meaning that many of its departments and programs are now hitting some big milestones, too. 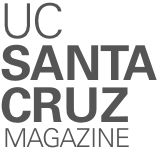 The last couple of years were banner times for Slug-related anniversaries, with many UC Santa Cruz programs and institutions marking major milestones in 2016 and 2017. Here is a sampling of big dates. One of the oldest colleges on campus, UC Santa Cruz’s Stevenson College celebrated its 50th anniversary last year. 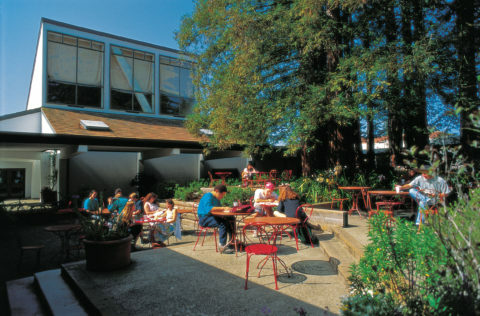 Founded in 1966, Stevenson is the second college established at UC Santa Cruz. Adlai E. Stevenson College opened in September 1966, 14 months after the death of the former governor of Illinois, democratic presidential candidate, and Ambassador to the United Nations. Stevenson’s enduring theme is “Self and Society,” putting a special focus on the goals of both self-understanding and active participation in one‘s community. Stevenson students are known for their diverse interests, ranging from the humanities and social sciences to natural sciences, the arts, and engineering. Could a college that seems so young at heart really be turning the big 5-0 this year? It may be hard to believe, but the science-minded Crown College, which came to life during the Summer of Love, is turning the half-century page. Crown College’s theme is the sciences and technology, and the way they are used in the wider world, for good and for ill. In fact, the founding provost of Crown College was the distinguished biologist Kenneth V. Thimann, for whom Thimann Laboratories are named. The college’s core course, Ethical Issues in Emerging Technologies, emphasizes the great responsibility that comes with great power, and helps students make public policy decisions regarding science and tech. Crown College is marking this grand occasion with not just one reunion, but with a series of events during Alumni Weekend from a reception and wine tasting to the showing of a documentary about the college’s 50 years of cultivating innovation. The staff at UC Santa Cruz’s legendary CASFS program is so successful at training and inspiring farmers that it maintains an ever-expanding Excel spreadsheet listing their names and businesses. The list goes on and on. In a mere five decades, CASFS has spread the gospel about sound, sustainable, and innovative farming practices to every corner of the globe. How has this program, and its students, come so far since its inception in 1967? CASFS director Daniel Press said that the program’s mentors trained farmers and gardeners so systematically, efficiently, and inspiringly, that it prepared them for innovation, and showed them how to think about farming in the long term. “Knowing you are doing your part for food justice, beauty, and healthy agriculture helps carry you through the really tough times every farmer faces,” he said. The mission of CASFS is to lead the way in the latest research, development, and advances in sustainable food and agriculture, championing and pioneering methods that are environmentally sound, economically viable, and socially responsible. CASFS plans an array of events to mark this grand occasion, with the main event, the First Fifty Celebration, happening July 28–30. In the fall of 1967, a few young UC Santa Cruz undergraduates including Carl Norris (Stevenson ’68, economics) were hanging out on a sports field on campus when they noticed a couple of professors throwing, kicking, and knocking around an object that looked suspiciously like an oversized, pale-white football. Fifty years later, rugby remains a force at UC Santa Cruz, with an engaging and quirky history of its own and a long list of illustrious alumni. There are not one but two men’s teams and an active women’s program, recently battling Stanford, the University of Nevada at Reno, and state universities across Northern California. Now, Norris and other committed alumni have launched a brand-new tradition: the UC Santa Cruz rugby reunion, which will be held every year. These get-togethers are a great time to forge new rugby-related friendships or rekindle old ones. More than four decades after the beloved professor launched the program, the adventure is still going strong. NHFQ, a 10-week immersive, 15-unit course that is offered each spring through the Environmental Studies Department, is hosting a special reunion on April 30 at noon at Little Basin State Park in Boulder Creek to mark its 45th year. 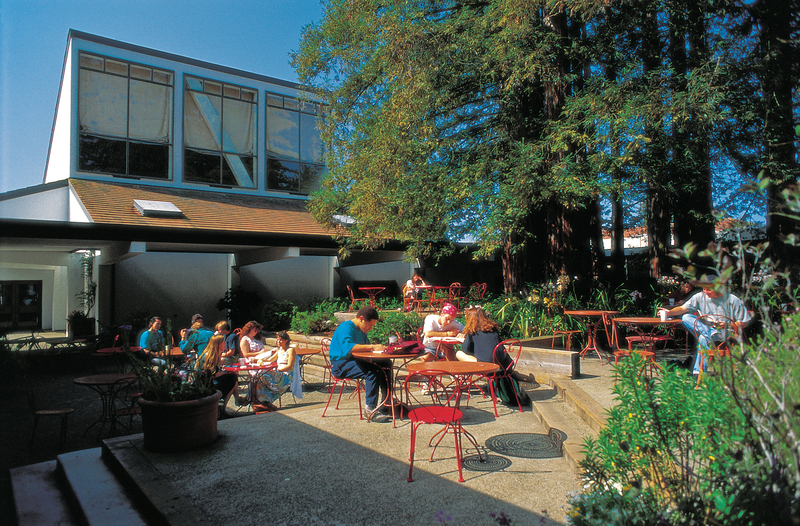 This reunion will take place during UC Santa Cruz’s Alumni Weekend celebration, which runs April 28–30. This year, the reunited graduates will camp out together at the state park during a weekend of reminiscing, and, of course, botanizing, journaling, birding, sketching, observing, and rekindling. In addition, celebrants will pay tribute to a beloved teacher and friend of the program, Breck Tyler. You’ve seen their flashy but historically faithful outfits. You’ve marveled at their enthusiasm, their commitment, and their dance moves. But did you know that Los Mejicas, which celebrates and sustains the tradition of Mexican folkloric dance, is turning 45 years old this year? 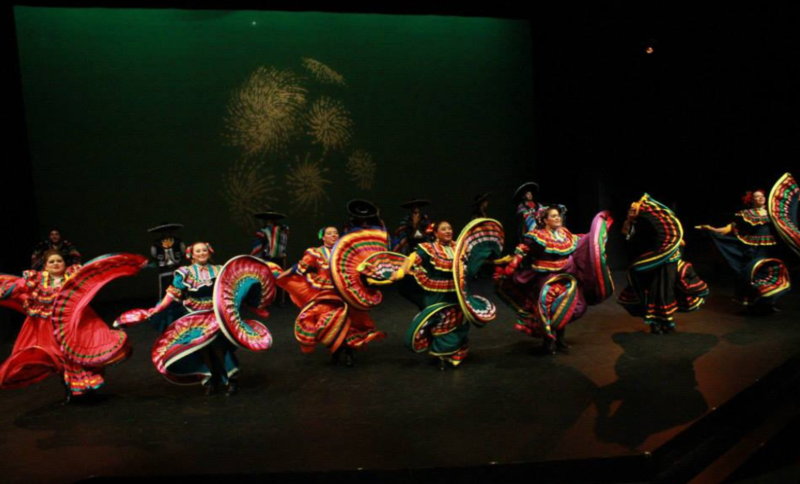 Los Mejicas is one of the most highly respected dance groups on campus, providing an enjoyable outlet for students as well as community members. This group is more than just one of the oldest organizations at UC Santa Cruz—it’s also a class in its own right. Students can enroll through either the Anthropology or Latin American and Latino Studies departments. The group will have a reunion to celebrate this special landmark, featuring a light dinner, performances, speakers, and lots of free time to connect with friends. The festivities take place 6–10 p.m. April 29 at the Stevenson Event Center, part of this year’s Alumni Weekend festivities. Those who wish to join Los Mejicas, enroll in a class, or take in one of their upcoming performances can find more information on the group’s official blog. Could the world-famous UC Santa Cruz Banana Slug mascot really be 30 years old? Indeed, the beloved creature marked three decades in 2016. In the early 1980s, Chancellor Robert Sinsheimer brought the campus into the National Collegiate Athletic Association as a Division III school for the first time. Until then, UC Santa Cruz had unofficial sports “clubs” but no NCAA teams. In 1986, the newly formed Student Union Assembly (SUA) voted to put the mascot issue on a campuswide ballot measure. Eric Satzman (Cowell ’87, sociology), the SUA president at that time, recalls that it was a nonbinding resolution. The administration, not the students, had the final say about the mascot issue. Still, Satzman was confident the slug would prevail and at least the students’ preference would be made clear. The rest, as they say, is slug history. 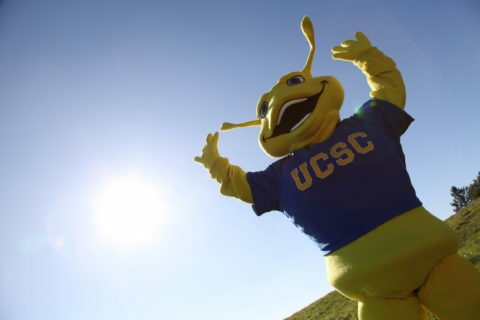 The slug mascot may very well be the most recognizable image associated with UC Santa Cruz. John Travolta helped the cause immeasurably in 1994 when he wore a UC Santa Cruz T-shirt, with the Fiat Slug logo designed by alumnus Marc Ratner (Cowell ’87, linguistics), in Quentin Tarantino’s hit movie Pulp Fiction. The Jack Baskin School of Engineering is named for the retired engineer and philanthropist Jack Baskin, whose steadfast support led to the founding, as well as the rapid growth, of the school, which was founded 20 years ago in 1997. Since its creation, the program has more than tripled the number of its faculty, and built up the student body to an impressive 4,000. The program is a proven training ground for students, whether they wish to explore bioengineering, bioinformatics, computer engineering, computer science, or an array of other choices. Lawrence Livermore National Laboratory, Los Alamos National Lab, Microsoft, NASA, Oracle, Tesla, Twitter, and Walt Disney Animation Studios, and are on the faculty at such distinguished institutions as Duke University, Cornell University, Carnegie Mellon, Johns Hopkins, Stanford, and UC Berkeley. 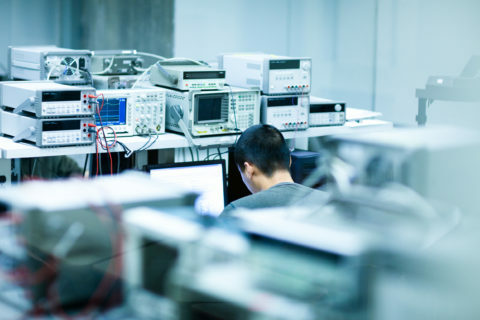 The program also offers MS and Ph.D. degree programs in applied mathematics and statistics, bioinformatics and biomolecular engineering, computer engineering, and other disciplines. The school will mark this milestone on April 29 from 9:30 a.m. until noon with Brunch at Baskin at the Jack Baskin Auditorium 101 during this year’s Alumni Weekend celebration. The event will include a brunch, an alumni presentation, and a lab tour.